Mark Rayner transforms a humble plywood mailbox into a fabulous metallic masterpiece. To get the look: Mark primed the block plinth under the mailbox with Resene Concrete primer, then painted it with Resene Lumbersider tinted to Resene Astronaut. You will need: A clean cloth, low-tack masking tape, paintbrushes (including a small artist’s brush), plywood mailbox (ours came from mitre 10 mega), sandpaper, screwdriver, Resene Quick Dry and Resene testpots of Resene Astronaut, Resene Nero, Resene Shinto, Resene Scotty Silver and Resene Time Warp. 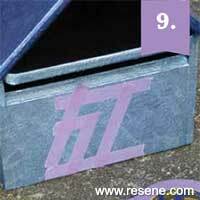 Unscrew and remove the back flap of the mailbox. Lightly sand the plywood. Wipe off any sanding dust with a clean cloth. 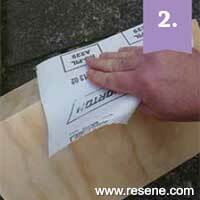 Apply one coat of Resene Quick Dry to the mailbox. 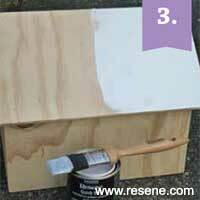 Allow two hours' drying time for each coat of paint. 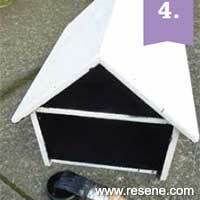 Apply two coats of Resene Nero to the inside of the mailbox. 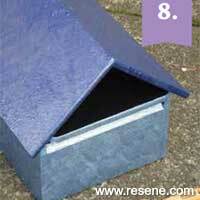 Apply one coat of Resene Shinto to the outer walls and underside of the mailbox. 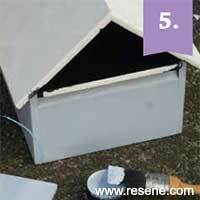 Apply one coat of Resene Astronaut to the roof of the mailbox. 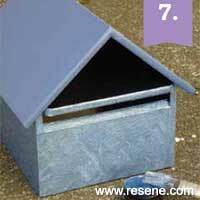 Apply two coats of Resene Scotty Silver to the outer walls and underside of the mail box, lightly dabbing the paint to create a textured effect. Remember to allow two hours’ drying time between coats. 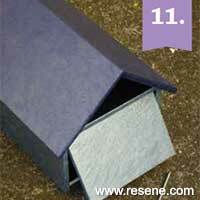 Apply two coats of Resene Time Warp to the outer roof of the mailbox. 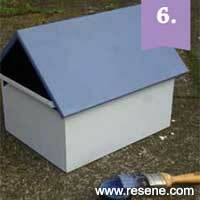 Again, lightly dab the paint to create a textured effect, allowing two hours’ drying time between coats. 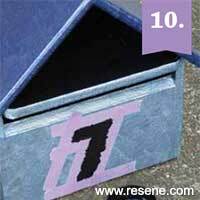 Use low-tack masking tape to mask off the house number on the front of the mailbox, as shown. Paint in the house number with Resene Nero. Carefully remove the masking tape before paint dries. 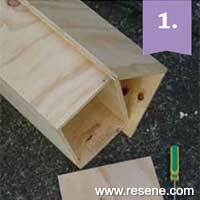 Re-screw the back flap of the mailbox into position.